I'm always on the look out for new dystopias to read, so when I first read the description for Terra, I was sold, and I just have to say that Terra lived up to my expectations completely! It was definitely a thrill to read and I highly recommend it. :DThe main character of the book is actually also named Terra, and she works as a scav (a.k.a. a scavenger), someone who collects waste on the ground so that it can be recycled and used by the people in the skyworlds. You see, in Terra there are some people who live on Earth still, like Terra herself, and some who live in the skycites that float above the Earth's surface, but still stay in its atmosphere. The skycites are protected from the acid rain and harsh UV radiation that Earth is exposed to and live in luxury, while those on the ground live in poverty and can often only find work scavenging. Also, many years earlier a plague ravaged both the groundworld and the skyworld, killing most of the human population. Clearly, Terra is packed with a vivid back story and I felt that Gretchen Powell did a wonderful job explaining it all to the reader. I was riveted to the story and the history behind it all, and I definitely cannot wait to read more in this series!Along with its amazing back story, the characters of Terra were fantastic! There weren't actually too many characters because Terra stuck mostly to herself, but the ones that were prominent were all wonderful. Terra was an amazing narrator, and although she tried to keep a distance from others I could not help empathizing and relating to her. She worked so hard to provide for her brother Mica. She was also brave, and constantly asked questions, which I thoroughly enjoyed because it usually provided some awesome banter with the other characters...mostly Adam. ;) I also loved her brother Mica. Although their circumstances weren't the greatest, Terra and Mica were still so close, and it was really nice to see the strong familial bond between them. Then there was Adam...oh boy did I love Adam! He was amazing and I loved how he managed to bring Terra out of her shell. I also really...and I mean REALLY loved Terra and Adam together. 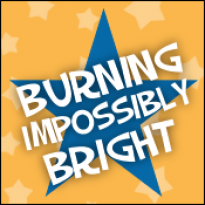 I was constantly smiling...and even giggling over their interactions...especially once Terra finally let her guard down!The story itself was complex, and there were a few unexpected twists that I really enjoyed! It's not often that a book surprises me, but Terra definitely did! Overall, I just absolutely loved every single part of this book. The characters, the back story, the story itself, and the writing...all were so well done on their own, and put together they made for an amazing book! 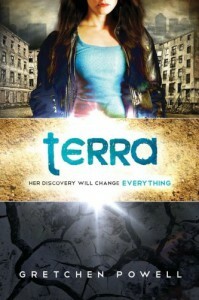 I'd recommend Terra to those who like dystopias with unique environments and vivid back stories, and if you enjoy a romance where the female lead is hesitant....but opens up eventually. :) * I was provided with an ebook of Terra for an honest review and to participate in a blog tour. * This review also appears on my blog and other social media sites.